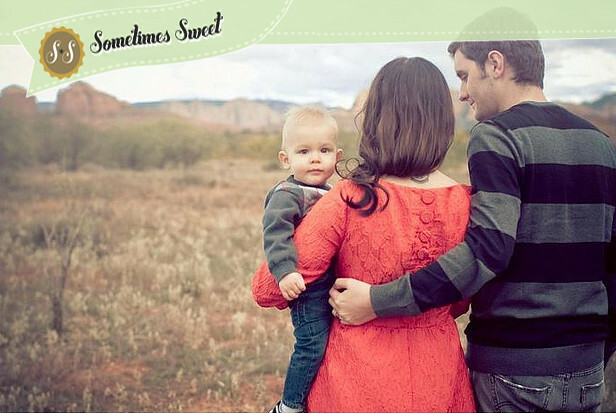 Sometimes Sweet: New to Sometimes Sweet? Since you're new here, I thought it would be fun for you to take a little peek at a few different posts to get an idea of what this blog is all about. Here's a link that will link you to all of my "notable posts," or things that I find to be a little more special than my typical daily updates or thoughts. Also be sure to check out some of my popular projects and my weekly column on Hello Giggles! You can click on my Dear Henry letters and a couple more on the main page, but also be sure to visit the Features link to see the rest. Every Tuesday I feature a tattooed individual in my Tattoo Tuesday series. This is one of my most favorite parts about my blog and I've really enjoyed shaking up peoples' preconceived notions about what a heavily tattooed person is like. Plus, I obviously have a thing for beautiful artwork and I love that I've created a space here to showcase it. If you're into reading a bit more about my experience of being a Mom with tattoos, feel free to hop over here and read a piece I did for Hello Giggles on that very topic. Another favorite feature of mine is called Journal Day. This is a newer feature, and basically I provide a free-writing prompt (a throwback to my days as a high school English teacher), write about it, and then invite my readers to do the same, linking back to their blogs in the comments. It's a lot of fun and really neat to read what everyone has to say. There are a million more things to check out, so be sure to visit the different pages and links I've shared on the main page. Leave a comment, say hello, and introduce yourself. I can't wait to meet you!